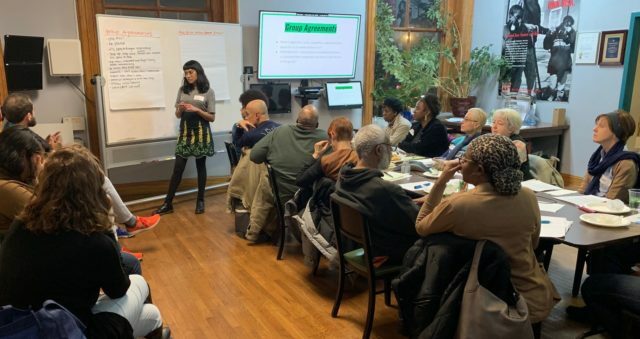 The Climate Justice Working Group is made of WE ACT members working together to implement the Northern Manhattan Climate Action Plan while building community leadership in support of climate justice Northern Manhattan and beyond. We meet at WE ACT’s NYC headquarters – 1854 Amsterdam Avenue, 2nd Floor – every 4th Wednesday of the month. Our February Meeting will be on Wednesday, February 27th from 6-8 PM. If you plan on attending, please RSVP!